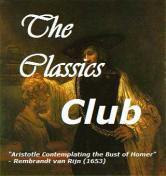 My review of this book will have a different format, as I read it for a Readalong. 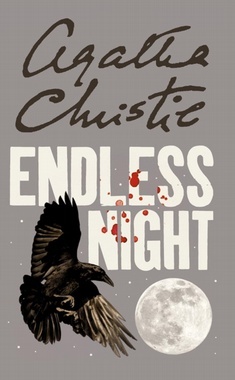 I was so excited when my favorite book blogger Jen @ Devourer of Books posted this Readalong, as I had never really done a Readlong, and the last book by Agatha Christie I read was… decades ago. First, I did not know the use of the first person was unusual for AC, so at first I didn’t think much about it. As early at chapter 2 and 3, the theme of memory comes up, so it only made sense, and fit perfectly with a first person narrator. When I reached the last 2 chapters and discovered what had happened, I think it made it even more creepy and sick to have it in the 1st person; I think a 3rd person narrator would have been more prone to induce some sense of guilt in the narration. I don’t feel any of that. It makes the character of Michael even more sick and evil. I honestly did not need any dead body to find it suspenseful. From the first chapter on, you have words constantly recurring, such as shiver (a lot of shivering in this book, I can even count them for you if you wish! ), black cloud, shadow. moribund, semi-gloomy, scary, cold little wind. Until chapter 23 I identified with Michael, just because of his social position. I don’t like too much very rich people. And the way the book is presented from the start is its memories of some very tough event that happened to him. So I really fell into the “oh poor guy…”. Though at the same time I was wondering why he absolutely insisted in getting this house – ok he did not seem to believe at all in curses, and then why he wanted to stay there, after all the real threats and signs. Again, never a minute did I suspect HE had planted them. First I suspected Mrs Lee of course in chap 5, though it was so plainly presented that I should have known it could not have been her directly. All along the book, with similar threats and her disappearance the day of the 1st crime, I still thought maybe she was the culprit. I did not see anything coming… I could not understand why Greta in chap 21 said: I wish they would all go back where they belong. Those were the same words Mrs Lee had used earlier in the book, so I was totally confused: was Greta also a Gipsy, partnering with Mrs Lee to keep the house for themselves? If you want to read what others answered, go here. I really enjoyed very much this event, I had not taken notes for a fiction book for decades, so it was nice to be back to the study mood for fiction, as I did not know what the questions would be, I wrote down a lot as I was reading. The book was ultimately very dark and spooky for me, but very well written. 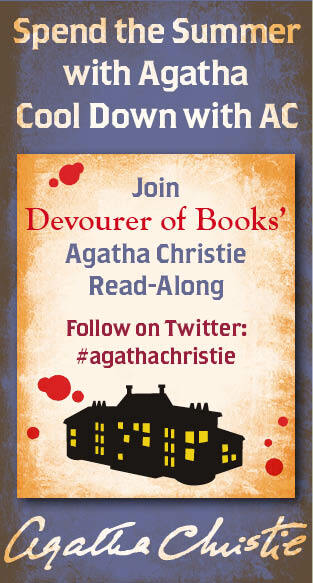 HAVE YOU READ THIS UNUSUAL BOOK BY AGATHA CHRISTIE YET? WHICH ONE IS YOUR FAVORITE AGATHA CHRISTIE’S BOOK? Hope you find some great blogs through it and also get some new readers. I’ve had so much fun touring this blog. Then I realized you have other book blogs as well? Outstanding! I’m adding this blog (and your other book blog, I hope) to my “Blogs of Substance” list at my blog, Reader in the Wilderness. There are so many posts I’d like to reply to, but I’ve got dinner guests at the moment. Maybe I should give each of them a book, so I can write a blog post! Hello Judith, it looks like you intended to reply to Tiny Library post about her new Directory, but instead commented on my comment. I’m Emma @ Words And Peace, but it looks like though you visited my site, so thank you anyway for stopping by. I’m actually kind of embarrassed to admit that I’ve only ever read Murder on the Orient Express.